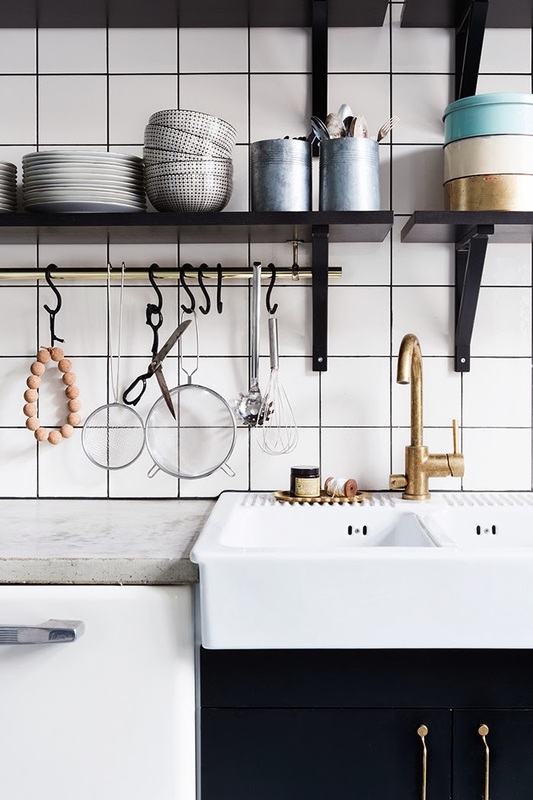 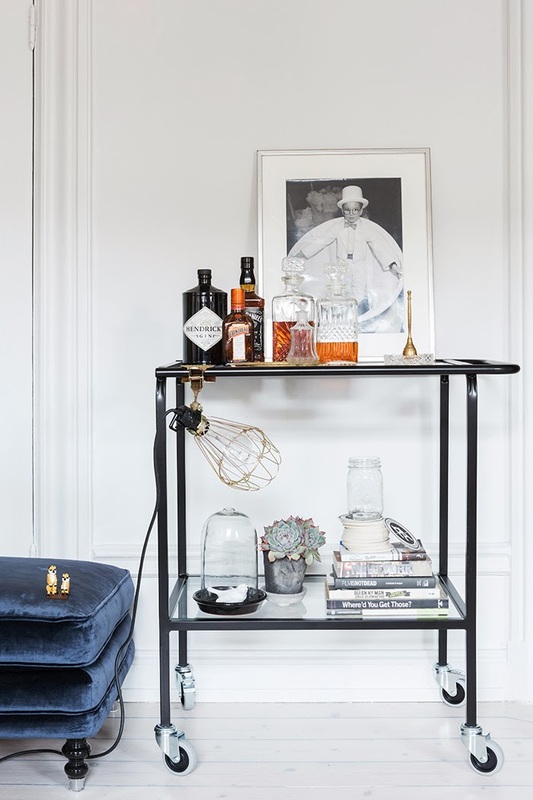 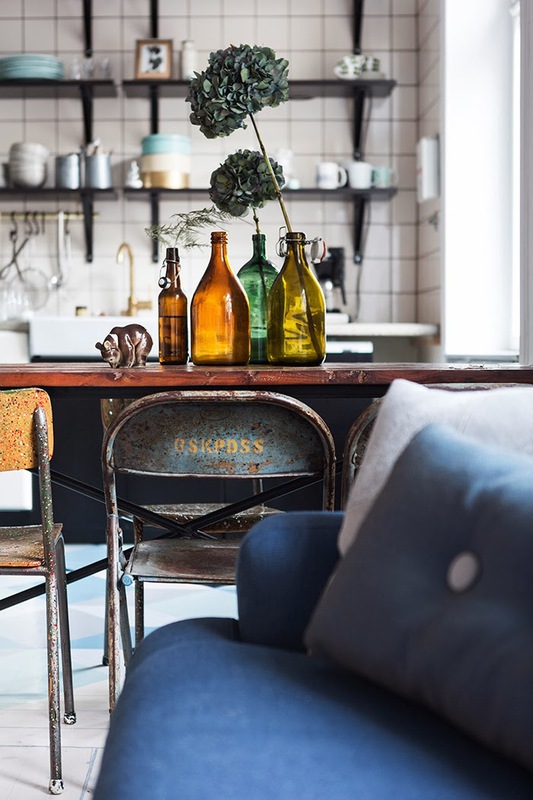 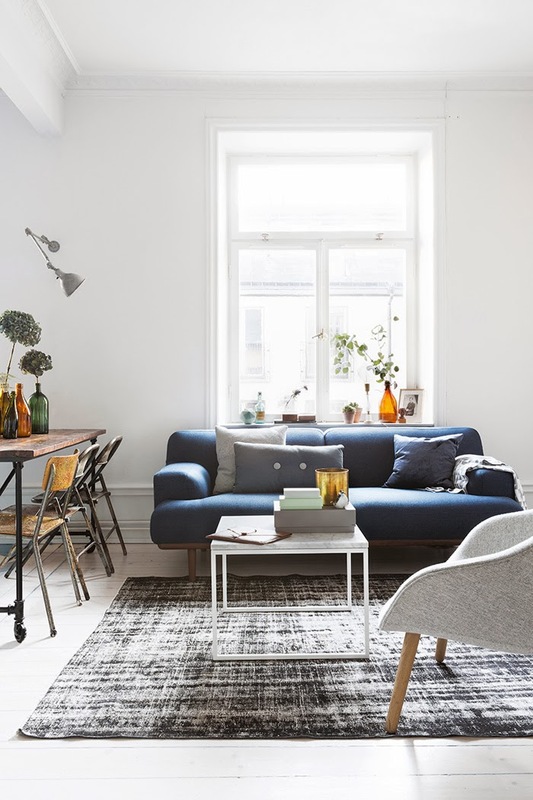 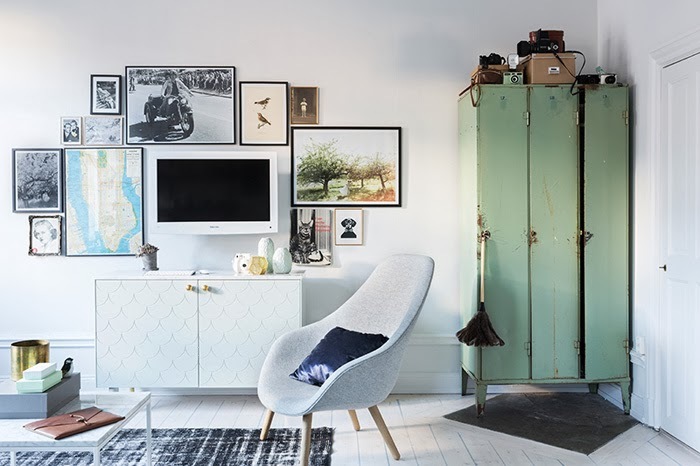 This apartment is the home of swedish photographer and stylist Therese Winberg and she took those pictures for a swedish interior magazine. 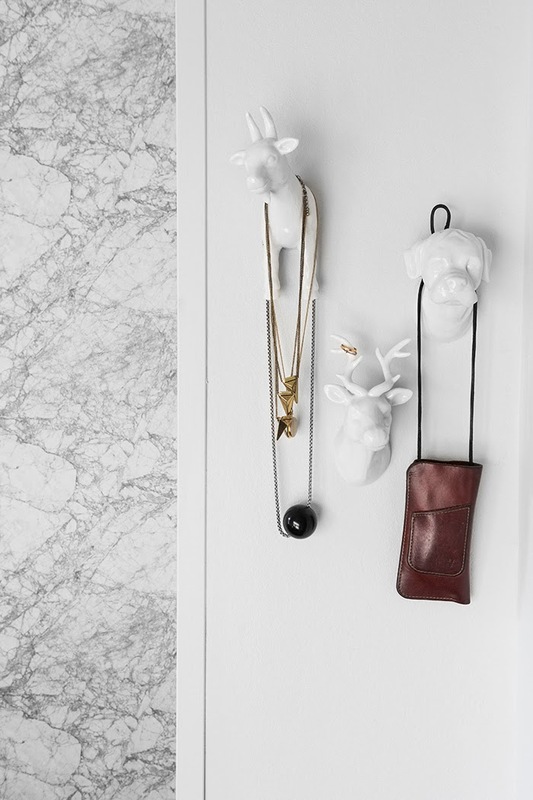 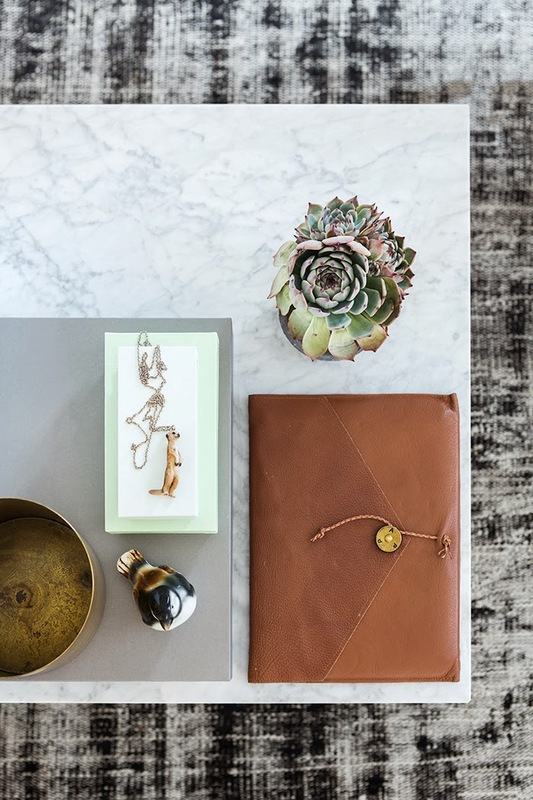 The apartment has a very special touch, very individual and also a little bit magical. 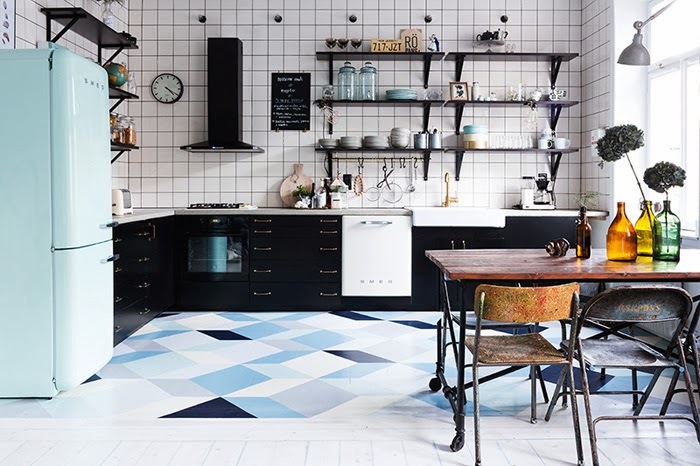 My favorite room is the kitchen with the mint green Smeg and the fantastic floor!